What is New Language Solutions? New Language Solutions is a registered charitable corporation that has been developing and distributing technology-based training products for newcomers and low-literacy Canadians since 1983. Today the organization is best known as the developer and host of Edulinc.ca, an online educational courseware designed for adult newcomers in the Language Instruction for Newcomers to Canada (LINC) program. New Language Solutions also provides teacher training and support through LearnIT2teach.ca, a website targeted towards Teachers of English as a Second Language (TESL) professionals and wanting to implement the online courseware in combination with face-to-face teaching. Both initiatives have been funded through the generous support of Immigration, Refugees and Citizenship Canada. Access to language instruction for the many adult newcomers that struggle with long hours at entry level jobs, family responsibilities, health issues or rural isolation has been and continues to be a social justice and equity issue for the settlement language training sector. In 1983 a group of concerned English as a Second Language (ESL) educators and community activists came together to try to create a distance learning alternative for newcomers to Ottawa, especially caregivers at home. Federal funding allowed the group to produce its first telecourse, “An E.S.L. Videobook,”consisting of 18 video programs totalling 8 hours and an accompanying 240-page workbook. The videos were broadcast on the Ottawa cable community channel in combination with weekly telephone lessons provided by the Ottawa Board of Education. More than 600 learners made their way into the course. The success of this initiative inspired the group to incorporate as TVLT Television Language Training, a registered charity with a voluntary board of directors representing the adult education sector. Taking the telecourse model province wide was a logical next step for the organization. 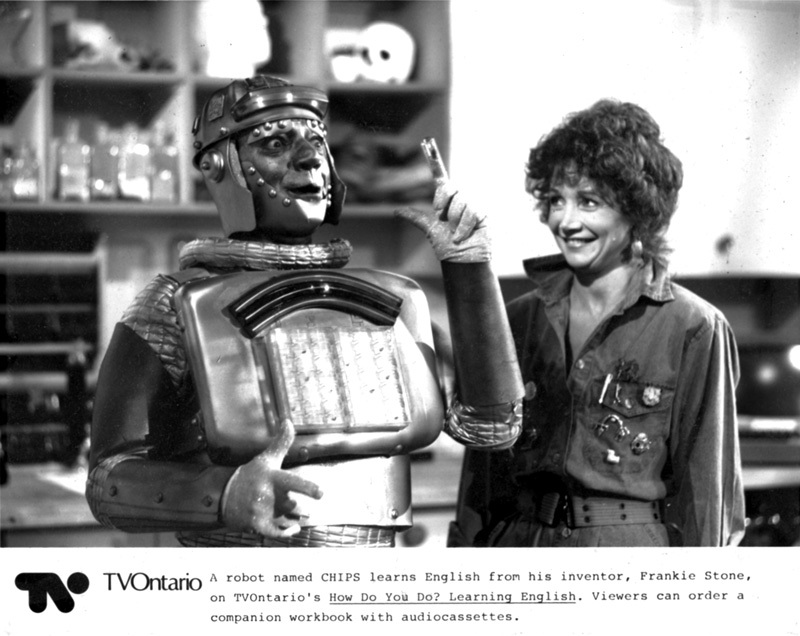 From 1986 to 1990 TVLT co-produced with TVOntario another ESL series, “How Do You Do?,” consisting of 24 half-hour episodes of broadcast television. The series and the print resources that supported it were broadcast across Ontario until 1996 and won an AMTEC Award of Merit. “How Do You Do?”was distributed overseas by TVOntario to Asia and Europe. In 1994 TVLT completed a new ESL telecourse in partnership with the Carleton Roman Catholic School Board and with funding from Immigration and Citizenship Canada. The telecourse was titled “At Home with English”and consisted of 12 half-hour television programs and print materials. Magic Lantern Communications, Canada’s largest independent distributor of educational video, distributed “At Home with English” across Canada to school boards, workplace training programs, libraries and community organizations. Stimulated by the rapidly evolving technology of personal computers and the Internet, in the 90s TVLT ventured into developing multimedia resources for Canadians and newcomers. 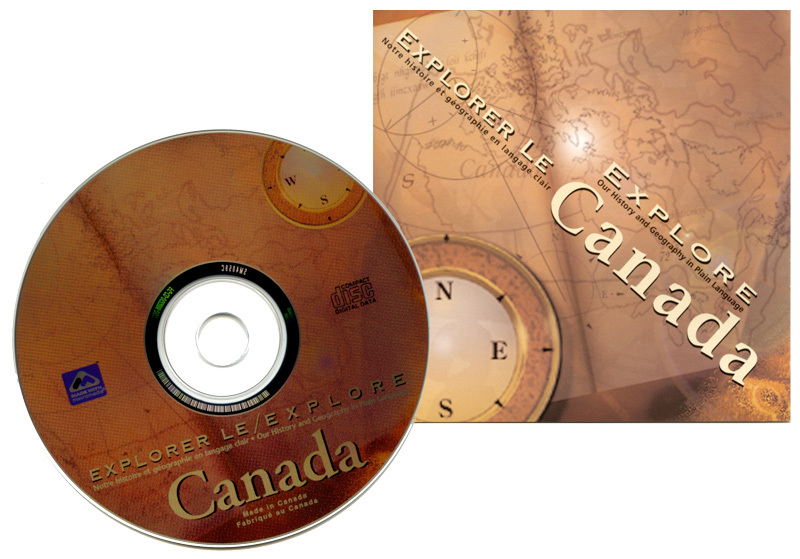 In 1997, TVLT completed production of a CD-ROM called “Explore Canada: Explorer le Canada” that focused on Canada’s history and geography using plain language. The CD was aimed at Canadians learning a second official language, newcomers to Canada and low-literacy Canadians. Explore Canada was completed with support from Parks Canada and four other federal agencies. More than 30,000 copies were distributed, and the product was licensed for all public schools in Ontario by the Ministry of Education and Training. In 2007, the organization won a contract with Citizenship and Immigration Canada to review practices in the field of Technology-enhanced language learning (TELL) and make recommendations to the department on a strategy for the settlement language training sector. An expert team of four consultants produced a report for the department, “Fast Forward: A Review of Online and Distance Education Language Training.” The report has influenced the technological evolution of the Canadian settlement language training sector ever since. Inspired by the recommendations in Fast Forward, a successful proposal to the department resulted in the inception of the LearnIT2teach project in January 2010. Initially an Ontario Region project, by 2012 the geographic reach had extended to other regions. Today the project hosts courses for adult newcomer learners in every province and has a teacher-trainer network encompassing every province but PEI. More than 2,800 LINC teachers have entered the training. In 2018, the old corporate name had grown stale and confusing. We initiated a rebranding exercise in consultation with stakeholders across the settlement language training sector. The result is New Language Solutions, a corporate name that captures what we do, combined with a tagline, empowering educators and learners through innovation, that captures why we do it. We remain a committed and strong charity that exists to support both newcomers in their personal immigration projects, as well as teachers and service provider organizations as they innovate with learning technology. New Language Solutions is also a partner of the Toronto Catholic District School Board in developing Onyxon.ca, online language resources for adult newcomers in Government of Ontario funded Non-credit ESL programs. School boards across Ontario deliver ESL instruction to newcomers who have achieved citizenship but still want to develop their English and French language skills. Onyxon.ca is currently in pilot but will eventually serve teachers, learners and newcomers across Ontario with online courseware to support blended or distance learning.